Whether you’re expanding your business or replacing key staff members, attracting new talent to your organisation can be an ongoing concern – especially if you’re worried about getting the right people for the job as soon as possible. And which business owner isn’t? While today’s standard recruiting methods such as advertising on your blog or searching job boards can bring you into contact with individuals who have the right skills for the job, you might also find yourself swamped with loads of CVs or interviewing candidates who have all the credentials but not necessarily the right attitude. For example, research has shown that while you can’t train attitude, it is a key determinate in how motivated (and ultimately successful) an employee can be in getting the job done right. Switched-on HR departments and savvy business owners know that hiring the wrong person for the job can be worse than not hiring anyone at all. Instead of engaging in the usual recruitment tactics, limiting your business to what you know, why not try something new and reach out to a fresh and exciting pool of talent? Be as active and innovative as the candidates you are looking to connect with! As experts in permanent and temporary recruitment, we have a number of ways to find the next perfect addition to your workplace team. Let us share three of these with you. Use social media the right way. It has become more common for organisations to advertise job openings and work opportunities on social media channels like Facebook and LinkedIn. In fact, both of these platforms offer job advertising services. A word of caution – be careful not to cast too wide a net or to be too general in your adverting – posting a job opportunity on social media might give you a wide reach but is it the kind of reach you want and is your posting reaching the right candidates at the right time? Learn how to use social media to your advantage and always be specific and purpose-driven when you use it to search for and attract talent. For example, job postings should contain relevant keywords, phrases and hashtags. And don’t forget to be active in your searches – don’t just post and wait. Rather, search on platforms like LinkedIn for candidates with the applicable prior experience or connect to Facebook or LinkedIn groups that cater to your industry or whose membership includes the type of professionals you’re looking to hire. If all this seems a little too complicated, we can help! Our expert team knows just how to harness social media for recruitment so let us take on this aspect of your talent search. Let your people do the legwork. No one knows your business quite like your best employees. When looking to fill a position within a team, get the team (or team leaders) in on the recruitment process. They should be able to help you source candidates who are the right fit for both the advertised role and your organisation’s culture. Ask for referrals and task key employees with actively seeking out potential recruits. If your employees carry business cards, you could add ‘recruitment cards’ (listing HR contact details and/or potential job opportunities) to their pack. If your employee meets someone they think might be a great fit for your business, these cards could be a way to connect with them and lead them into the recruitment process. Better yet, work with us and get your employees to refer potential candidates to our team – we can screen them for suitability before they enter the interview space. Want to really get your employees moving on this? Try incentive or reward schemes for the employee that brings in the most referrals or for when one of their selected candidates gets the job. Offer learning opportunities. Whether it’s freshly-minted graduates or seasoned professionals looking to gain further education or training, providing learning opportunities within your business can be a clever way to attract new talent. High-performing and ambitious employees see a chance to grow themselves as a substantial benefit when it comes to joining an organisation. Offer learnerships for those looking to get some practical experience or sponsored distance learning study for new full-time employees with the potential to grow into a new role. Tailoring learning opportunities to the kinds of employees you want to have in your business can help people feel valued and excited about the potential of growth for themselves and the organisation. 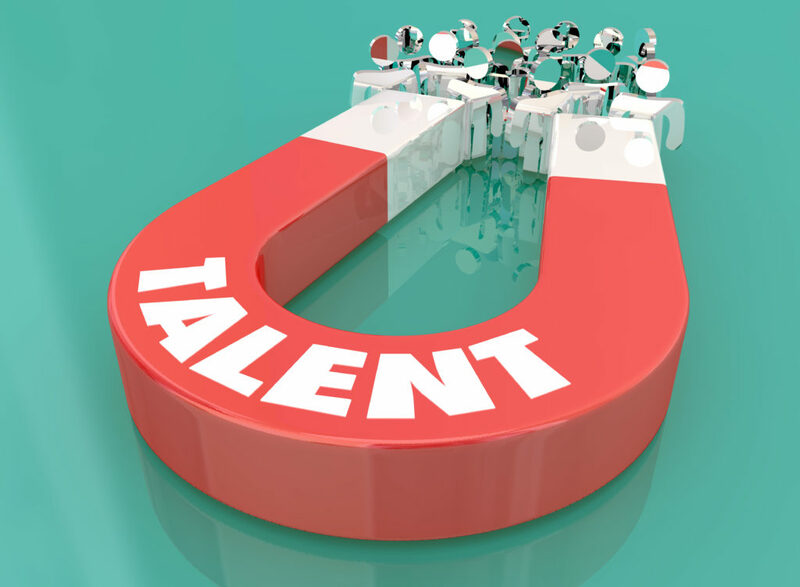 This works to attract fresh talent and to retain the best of your own talent pool so it’s win-win. Want to set up and run the most effective learnerships – those that recruit the best new talent without wasting valuable time and resources? Let us screen, select and recommend those individuals with the right attitude and true desire to learn. Need help with any or all of the above? Talk to us! Recruitment is a process that is best undertaken by a team with experience and expertise. Done right, it requires time, energy and focus – all of which you would probably prefer to spend on your business. With over 40 years’ experience, we are expert recruiters. Working countrywide, our team of highly trained consultants are dedicated to superior service and client satisfaction for both our candidates and the businesses we work with. Let us help you find the right candidates, using the best methods – that’s what we do!